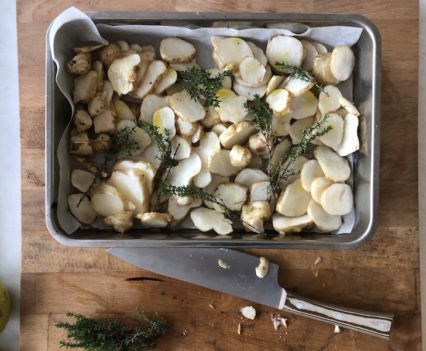 The Jerusalem artichoke also known as German turnip, is a tuber that we can find at the market in the winter season: many are its properties (it has few calories, suitable for diabetics, easy to digest, if consumed raw, it keeps intact its vitamins and mineral salts content). 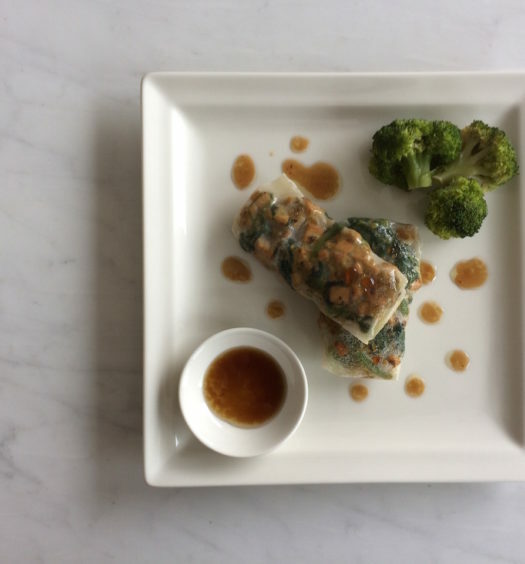 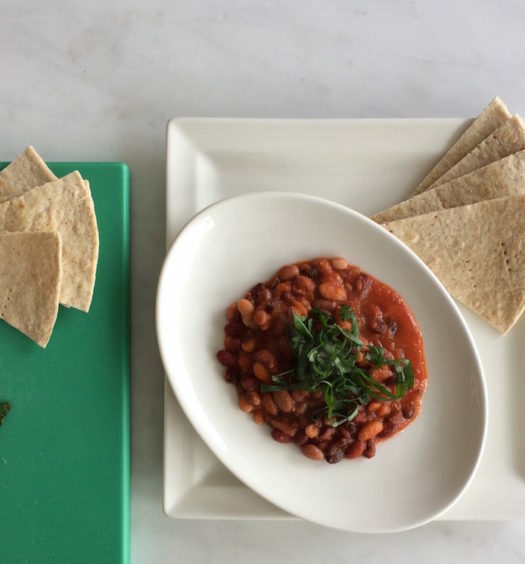 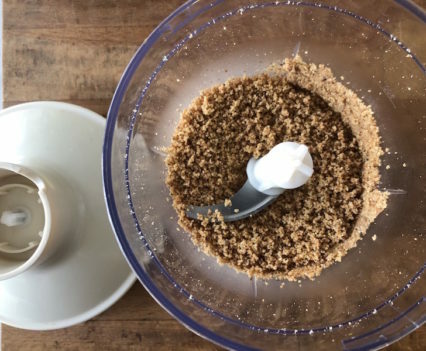 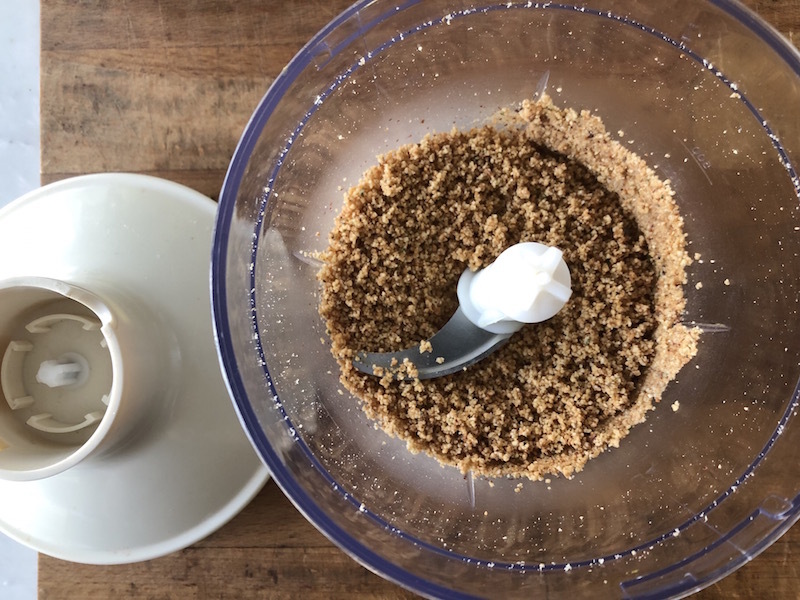 Today I share this first simply recipe. 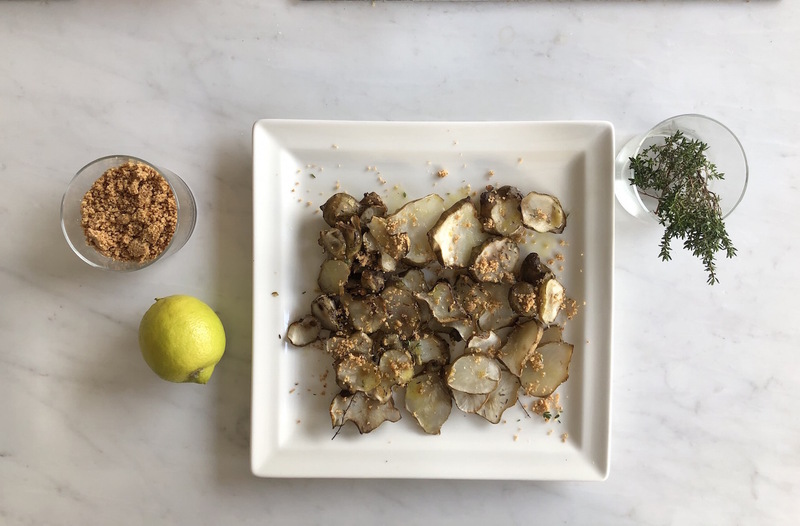 With few ingredients you will obtain a tasty and special side dish: baked Jerusalem artichokes with hazelnuts and thyme pesto. 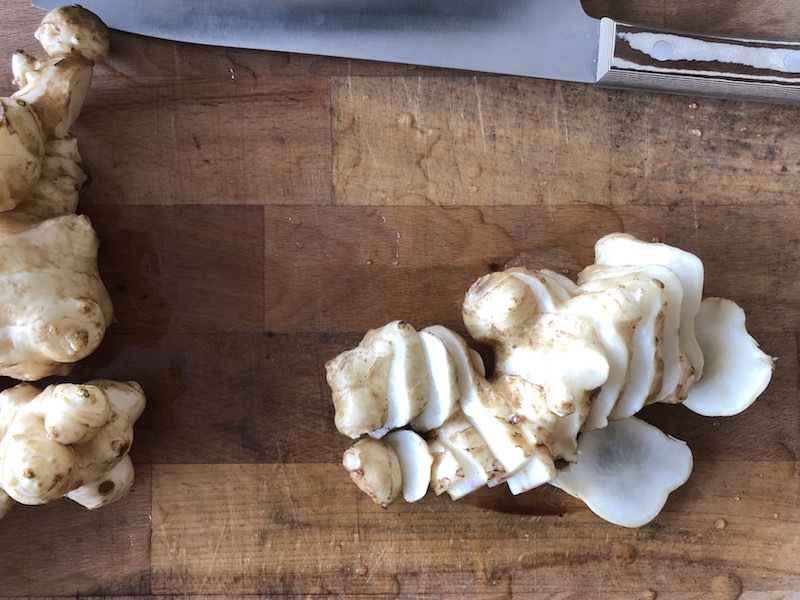 Carefully brush the Jerusalem artichoke under water. Put some water and the juice of one lemon in a bowl. 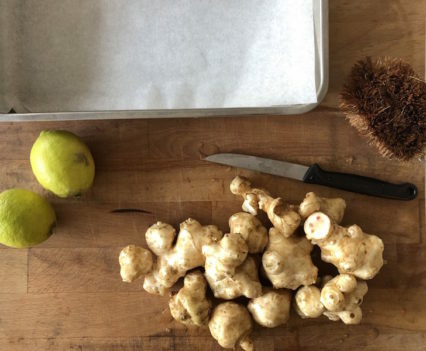 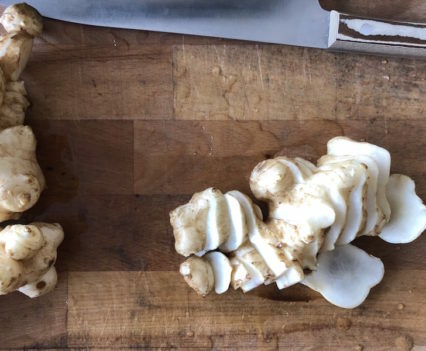 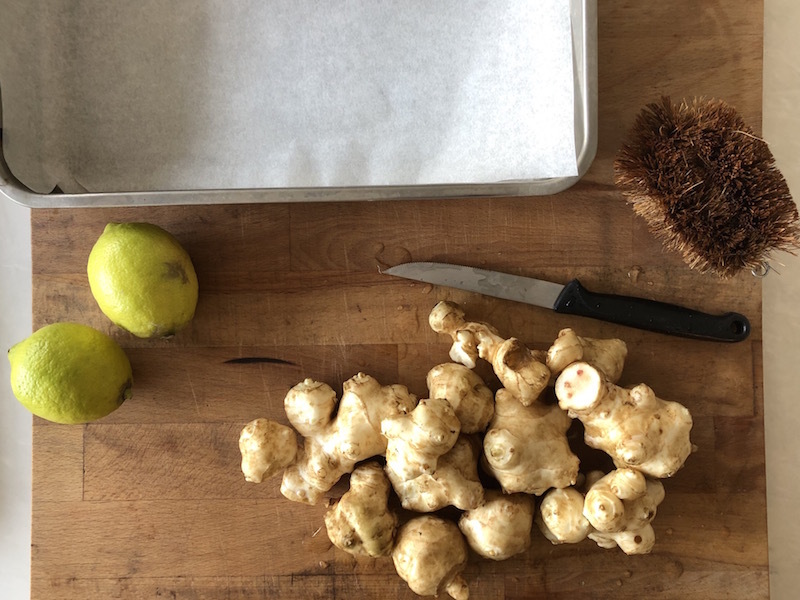 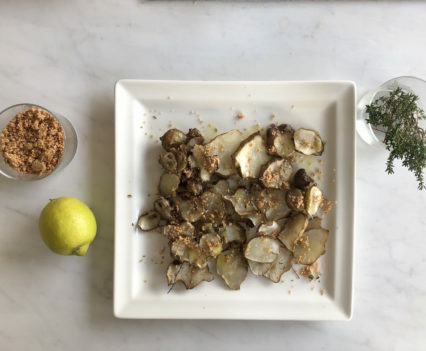 Cut the Jerusalem artichoke into thin slices (keeping the peel) and place it in the bowl with acidulated water. 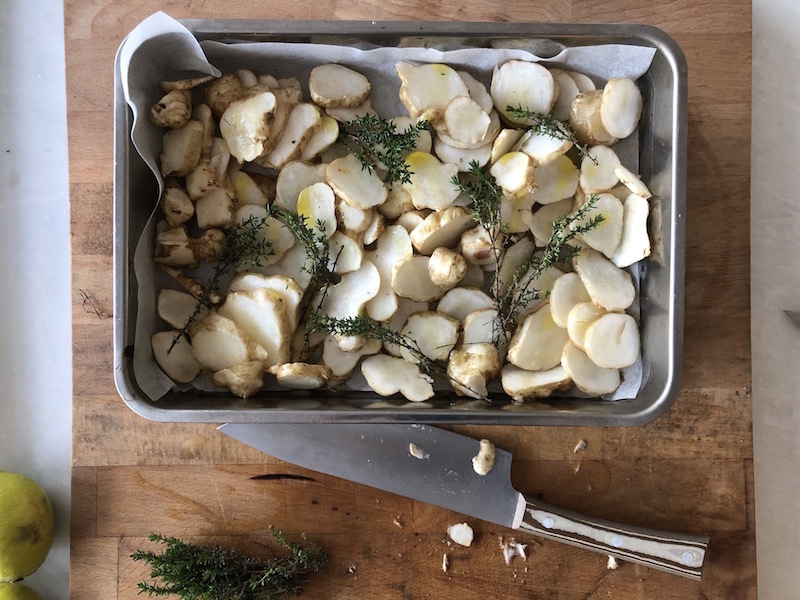 Lay the Jerusalem artichoke on a baking tray and season with oil, and few sprigs of thyme; bake in a convection oven at 180°C/356 F for about thirty minutes. 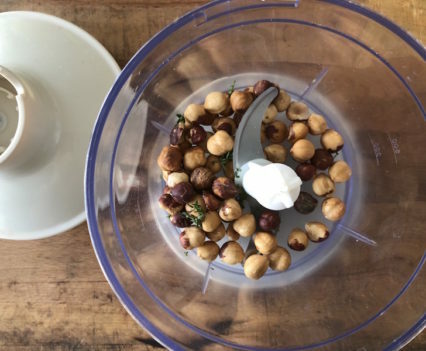 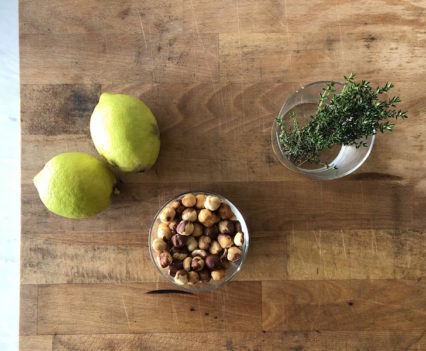 Blend the hazelnuts and a few leaves of fresh thyme, together with some grated lemon peel. 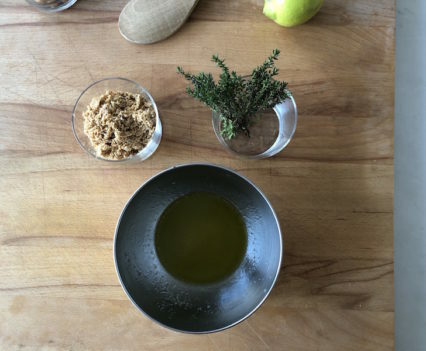 Create an emulsion with olive oil and lemon juice; season the Jerusalem artichoke adding the hazelnut and thyme pesto.